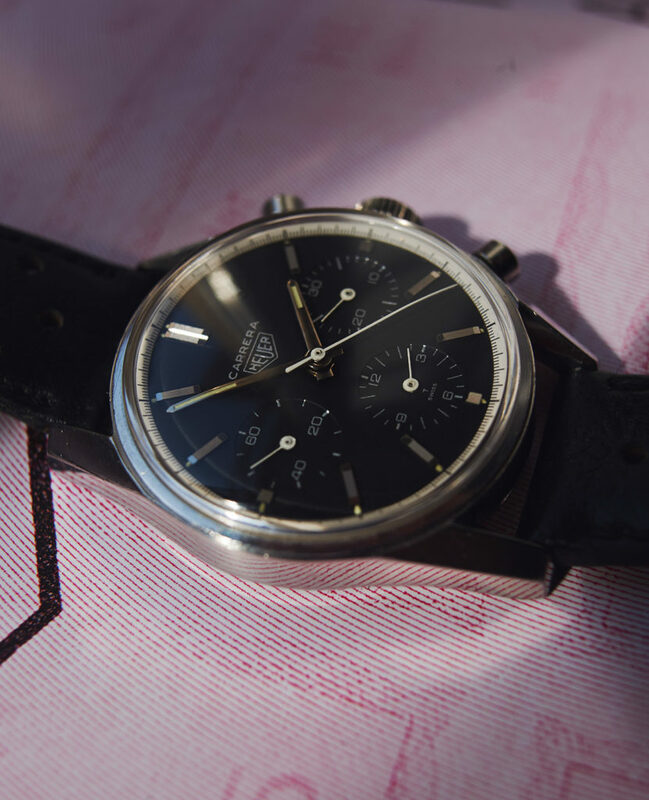 Dial and hands of this piece from 1967 appear with authentic lume and in allover perfect condition. 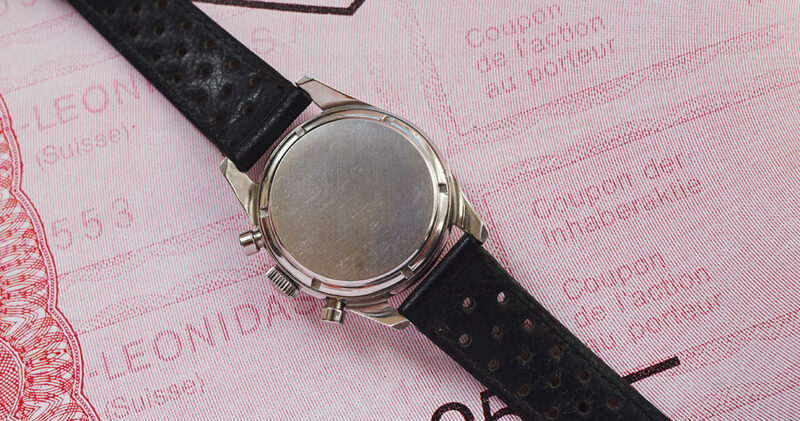 The case with it´s clearly readable serialnumber (77xxx) has some signs of wearing but was never polished before. 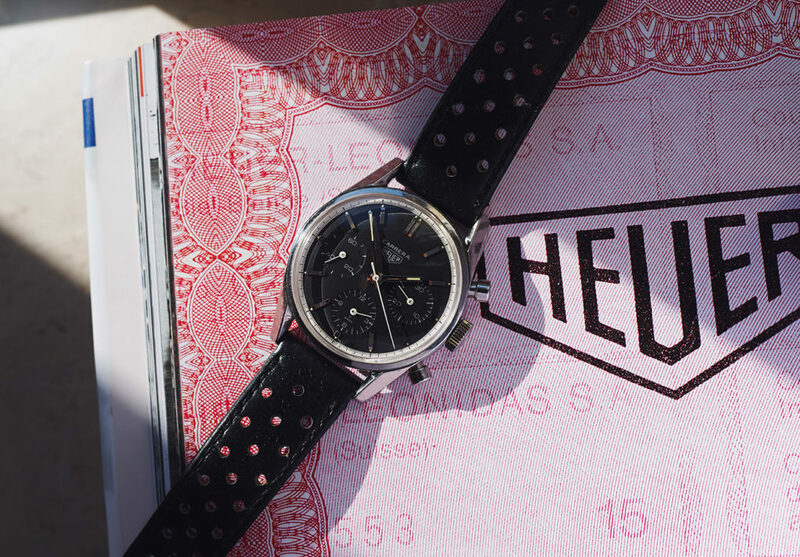 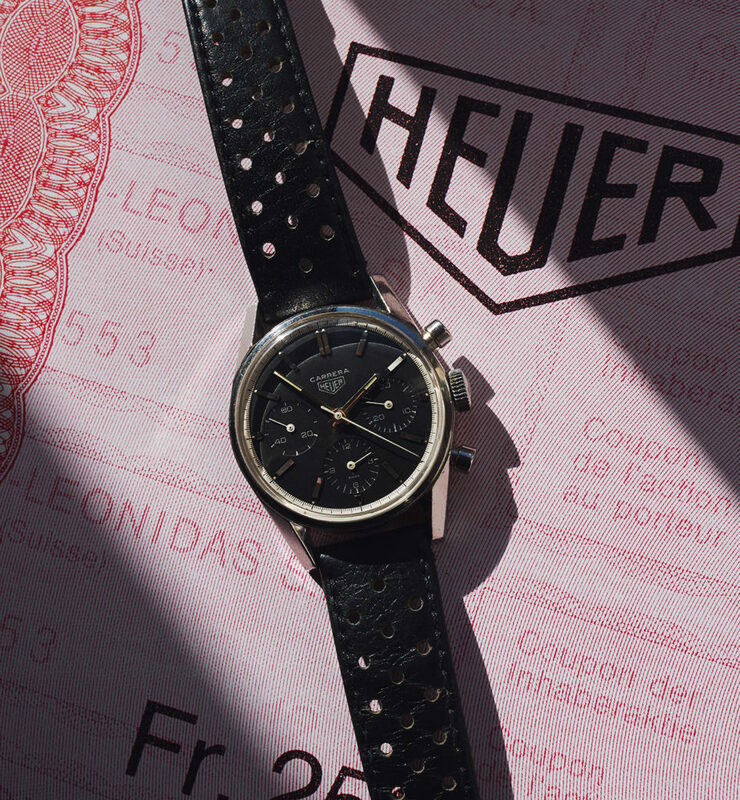 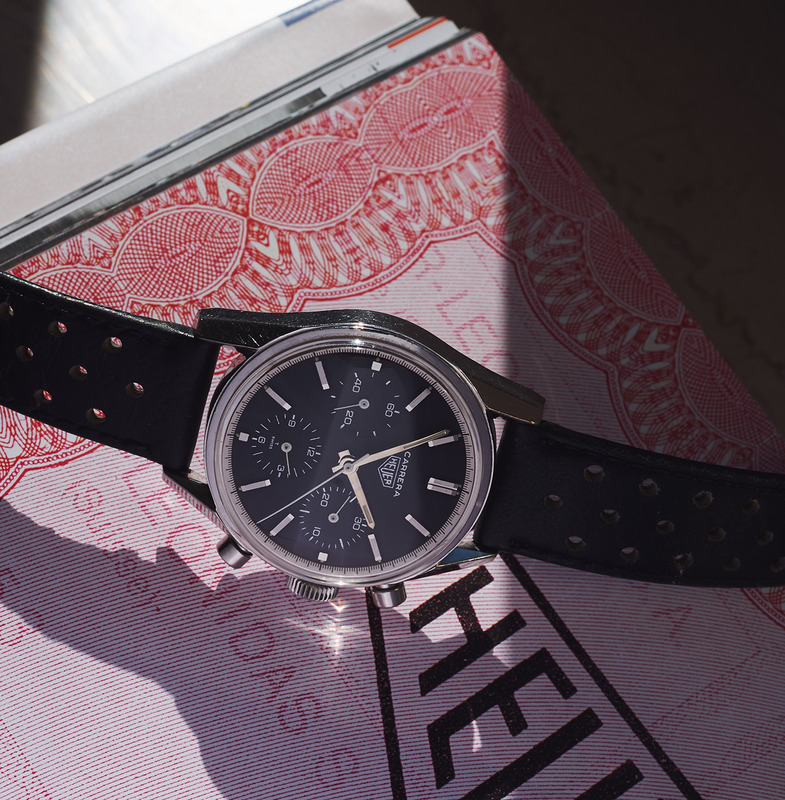 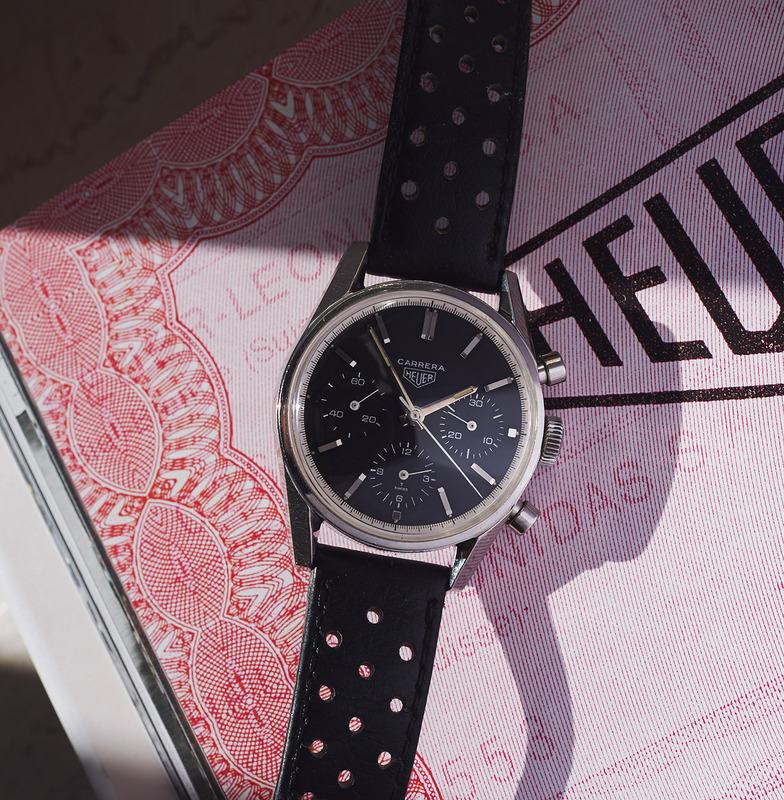 The „Heuer Leonidas“ signed Valjoux 72 is running exactly. 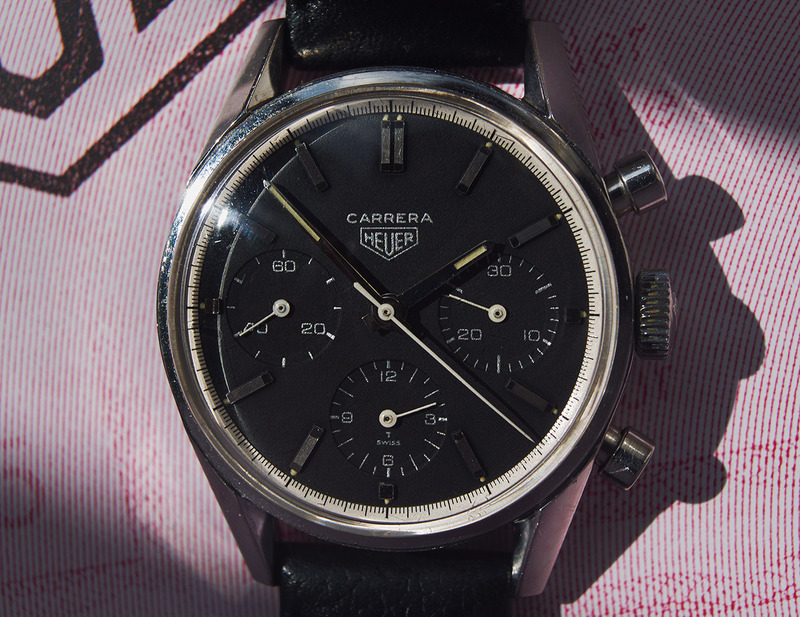 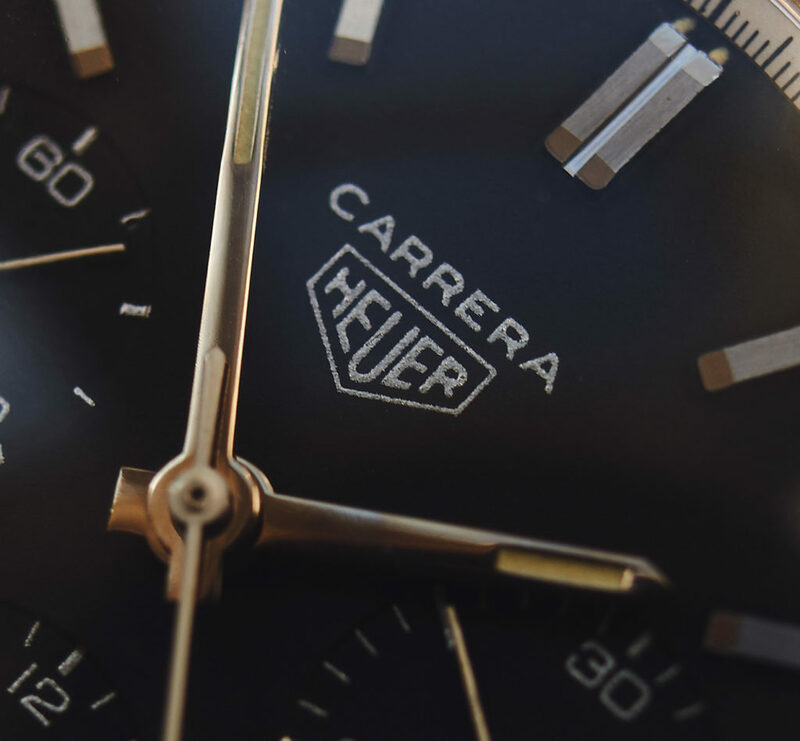 This watch comes on a beautiful used vintage leather racingstrap with Heuer buckle.